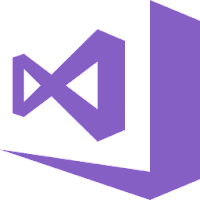 Microsoft Visual Studio 2017 is a professional IDE with powerful coding productivity features, cross-platform mobile development tools for Windows, iOS and Android, tools for web and cloud development, and access to thousands of extensions. Visual Studio uses Microsoft software development platforms such as Windows API, Windows Forms, Windows Presentation Foundation, Windows Store and Microsoft Silverlight. It can produce both native code and managed code. Note: .NET Framework 4.5 is required to install Visual Studio. Disclaimer: Direct downloads for the lastest version of Microsoft Visual Studio 2017 15.6.6 are provided by the official software's author, we can't guarantee safety, availability or download speed. Moreover, we don't and we won't provide any pirated/illegal versions or tools. We recommend you to avoid it as these methods can harm your device. If you like the software, buy it to support the developers. (We provide software discounts for many worldwide brands).